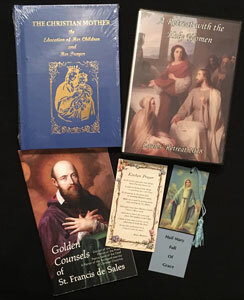 This popular kit will help your family prepare for the Advent season in a truly appropriate manner and draw your children closer to our Lord by teaching them about the real meaning of Advent and Christmas. So, this year, why not start a new family tradition and make your own Advent candles? Each kit makes four 8” tapered candles (3 violet and 1 rose) from 100% pure beeswax. 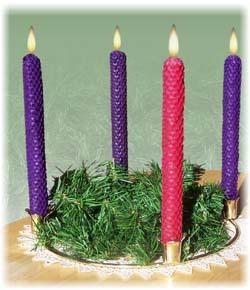 The candles are very easy to make, smell heavenly when burned, and are sure to delight you children all Advent long. The kit also includes a detailed information sheet on the beautiful symbolism of beeswax candles, directions for how to make your own Advent wreath, and a reproducible Advent prayer sheet.